With Video on Demand the customer gains access to a wealth of film and television entertainment at the touch of a button. Video can be accessed immediately and is then streamed or downloaded to the viewer’s receiving equipment. S&T provide a number of applications that facilitate the delivery of video to the set-top box. We focus on providing solutions that are of low cost to the consumer and solve the problems of VoD catalogue delivery over a broadcast network. S&T also has a proven track record in enabling linear streaming of scheduled broadcast services. We focus on providing a reliable experience for both broadcaster and viewer, giving the broadcaster a fine level of control over signalling parameters. 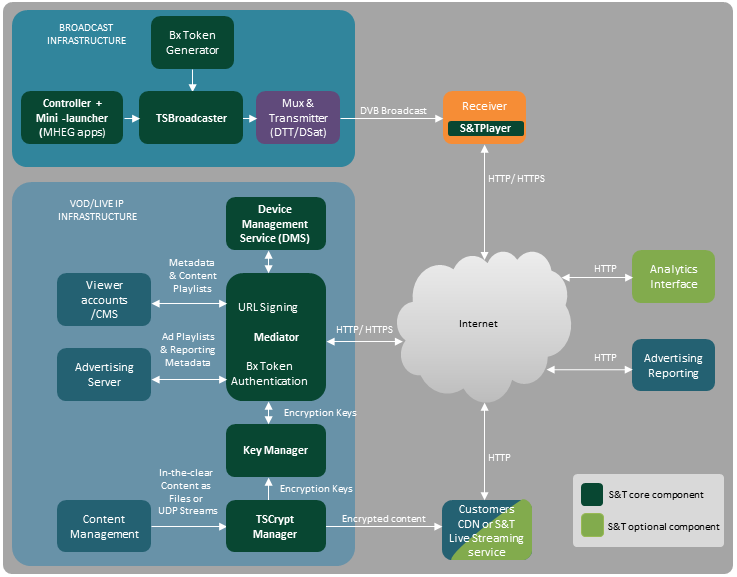 The diagram below shows the key components in one of our VoD solutions.